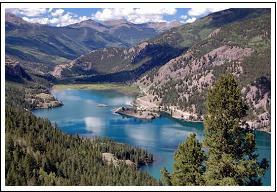 The Silver Thread Scenic Byway travels from South Fork to Gunnison, Colorado and is 117 miles long. It will take you about 3 hours to drive, more if you plan to stop anywhere along the way. I would recommend planning on it taking longer as you will definitely want to see the sites! Since the home base area of this website is the San Luis Valley I am assuming you start the Silver Thread Scenic Byway from South Fork and go towards Gunnison. Obviously, if you are starting in Gunnison just go backwards through this webpage. The choice is entirely up to you!! 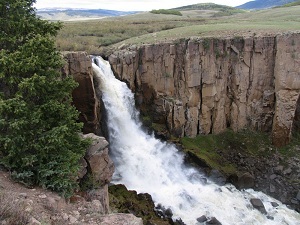 Have you driven the Silver Thread Scenic Byway? Click here to share about your journey. The Silver Thread Scenic Byway winds you through several historic mining towns and offers amazing views of the mountains. At the height of Colorado’s gold and silver rush people came from all over to take part in the adventures. As the mining booms faded, so did some of the towns and today they are only ghost towns. Several towns did survive and offer a look at the history of the area. Slumgullion Pass: Steepest Paved Road in Colorado. Please drive with caution! Lake City, Colorado: Founded in the late 1800s this town still offers many wonderful shops and a quiet, relaxing atmosphere. Starting in South Fork, Colorado you will begin the Silver Thread Scenic Byway by driving north on Highway 149 towards the town of Creede, Colorado. Take your time as you drive this stretch of highway as you can often seen mountain sheep along the way. During one of my drives to Creede I saw a lynx cross the road in front of me so be watching for all kinds of wildlife. Also, don’t forget to look up and see the tall mountains surrounding you as your drive. Wheeler Geological Area is found along this route. 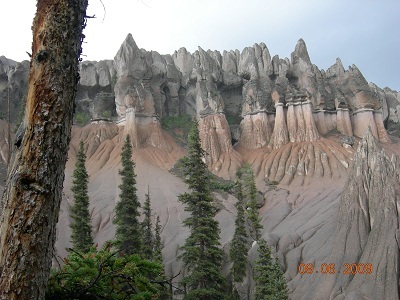 This is a unique rock formation that was formed many years ago when the area was active with volcanoes. It requires a 4WD vehicle, horse, or walking to reach the actual formations but they are well worth it! 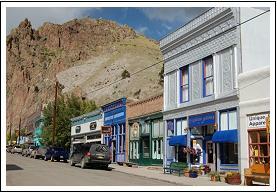 Creede was founded in 1892 as a silver mining camp. Today it is a tourist town and boasts many art galleries, excellent places to eat, a theatre, and an underground mining museum. Creede is an excellent place to spend a day walking the historic main street, looking through the various shops, visiting the Underground Mining Museum where the exhibits are actually underground in an old mine, or watching a play at the Creede Repertory Theater. This only begins to scratch the surface of what there is to do in Creede! After you enjoy a few hours (or a day) in Creede, your journey continues west towards the town of Lake City on Highway 149. As you leave Creede remember to keep your eyes open for wildlife. As the areas become less populated you will begin to see more and more wildlife. Between Creede and Lake City there are several pull off areas that give interesting facts about the view you are currently looking at. This is a great way to stop, stretch your legs, take some pictures, and just enjoy being in the wilderness. A really unique pull off is the headwater of the Rio Grande River Overlook. The Rio Grande River is the third longest river in the United States, and it gets it start in the beautiful Colorado countryside. 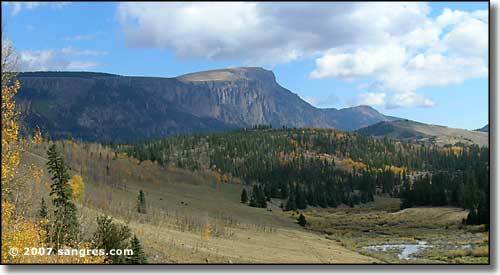 About an hour after you have left Creede keep an eye out for the sign to North Clear Creek Falls. A short drive off the main road will give you an amazing view of the gushing falls as they cascade over the edge. You will notice the road begin to get steeper as you start up Slumgullion Pass. Slumbullion Pass is the steepest paved road in Colorado. Please use caution as you drive this section of the Silver Thread Scenic byway as there are many switchbacks and hairpin turns. Be sure to stop at the Windy Point Overlook. The Silver Thread Scenic Byway takes you past five of Colorado’s “fourteeners” (mountains that are over 14,000 feet tall) and from the Windy Point Overlook you can see them all. 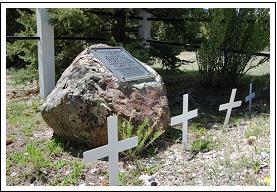 A chilling area is the Alferd Packer Massacre Site and Memorial. During the winter of 1874, six prospectors were lost in the wilderness. Only one survived, by eating his companions. Yuck!! Before you enter Lake City, you will see Lake San Cristobal. This is the second largest lake in Colorado. This lake is only 800 years old and was formed when the Slumgullion Earth Flow naturally dammed the valley. The earth here is still moving and can shift up to 20 feet a year. Lake City is a small tourist town. It was founded in the late 1800s as a supply center for the surrounding mining camps. It is now a great stopping place along the Silver Thread Scenic Byway. With a friendly and casual atmosphere you should plan to spend some time looking through the shops or getting something to eat. Take time to enjoy the slower pace of life and admire all the beauty that surrounds you. Lake City also has a Historic Walking Tour that is comprised of 33 sites. Each of the buildings tells a story about the time period and history of the area. Pick up the brochure for a complete guide on all the sites. Continue to follow Highway 149 out of Lake City and towards Gunnison. The terrain through this area is breath taking! There are usually a lot of deer along this section so drive carefully as you do not want to end this perfect day by hitting an animal! 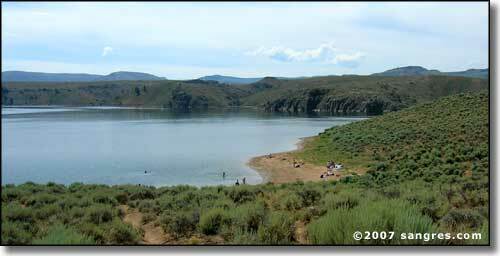 As you continue your drive you will come upon Blue Mesa Reservoir. Blue Mesa Reservoir is Colorado largest lake. The area offers picnic areas, boating, fishing, water skiing, hiking, and camping. It is a great place to spend the night after driving all day through the Silver Thread Scenic Byway. This is the end of the road but not your Colorado adventure. When you come to Highway 50 you can go right to Gunnison or left to Montrose. The choice is up to you! If you want to return to Southern Colorado go to through Gunnison and follow the signs to Saguache.